Hi, Stephanie here! Today I have my traditions layout to share with you. 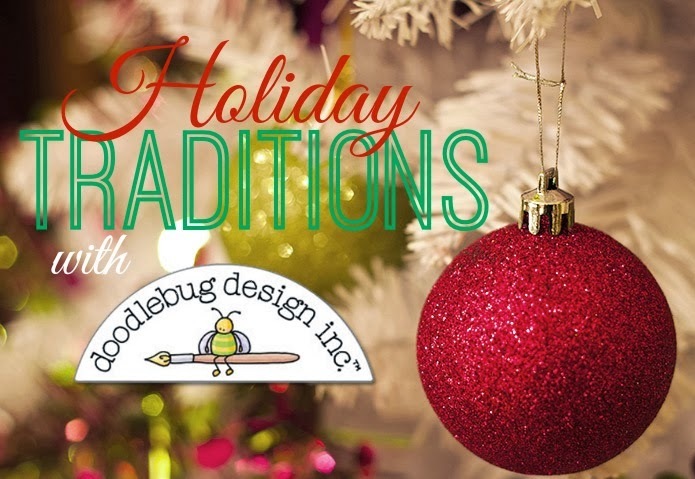 Traditions are such an important part of the holidays for me, especially Christmas. Although my family has many of them, the Christmas eve candlelight service at our church is my favorite tradition of all. Last year I took these pictures during it and have wanted to scrap them for a while, so this assignment came along and now I'm happy. Home For The Holidays is such a great Christmas collection. I always like the shades of red and green that Doodlebug uses for their Christmas themes. 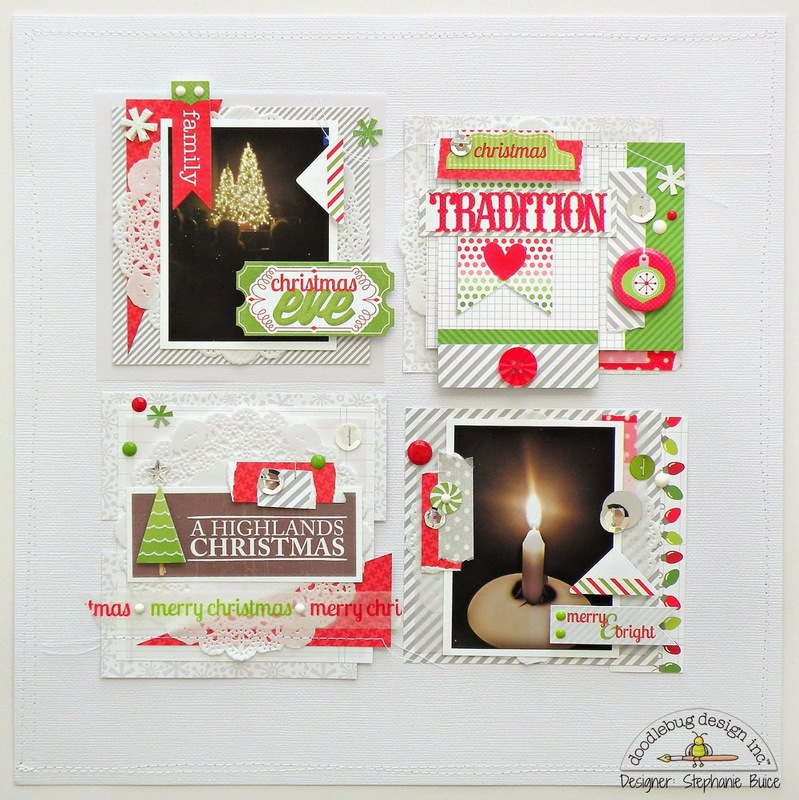 I love the addition of grey and some of the sugar coated cardstock sheets make this collection super versatile. 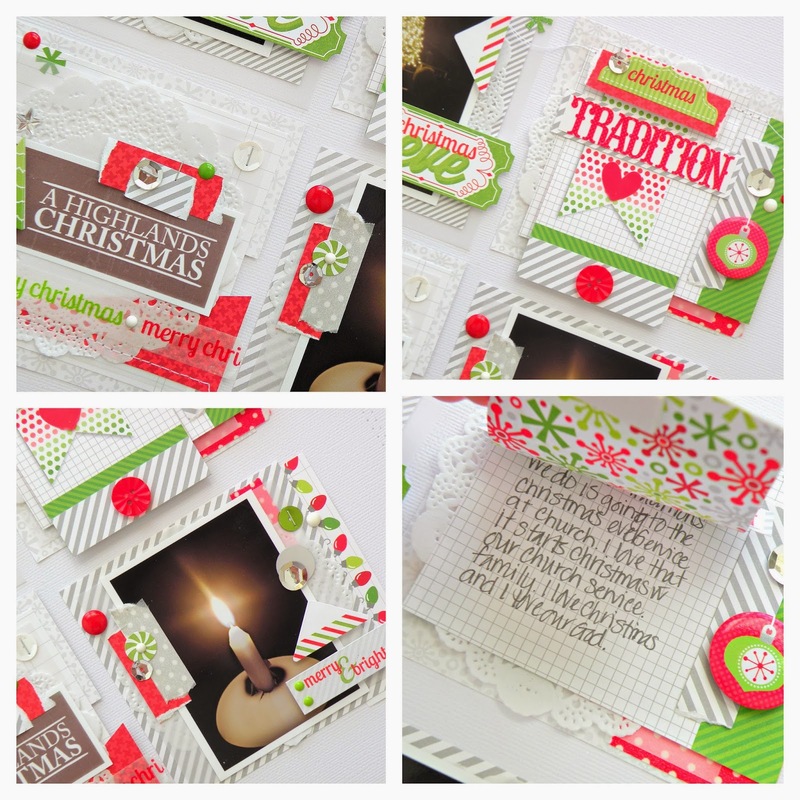 With this collection I like that you can either deck your layouts in full red and green color and patterns or you can let them be soft with the white and grey then add little pops of red and green where needed like I did with mine. Whatever your holiday traditions may be, I think you'll find Home For The Holidays the perfect collection to tell their story.